The East Hampton-based firm Bates Masi + Architects drew inspiration from utilitarian structures in the urban environment — scaffolding, fire escapes, security gates — to create the design and décor of Tessa, a new restaurant on the Upper West Side of Manhattan. The most striking features of the space include a ceiling and bar constructed out of layered scissor security gates (the kind used to block off parking lot entrances), exposed brick walls, and black steel bathroom sinks. 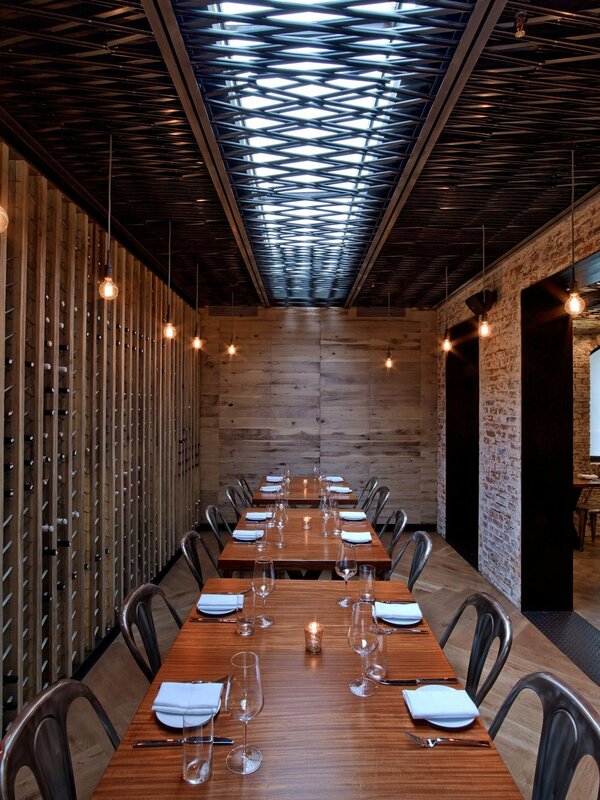 The overall effect is sophisticated and unmistakably New York. By highlighting these often-overlooked components of the city’s structural landscape, the team created an elegant space that is as true to its place as Nicholas McCann’s food. When Kinfolk, a creative collective, asked John Berg of Berg Design Architecture, an architect based in Springs, to help conceptualize a multipurpose venue in a Brooklyn storefront, the brief called for a space that looked as if it had been designed by a “Pacific Northwest hippie Mathematician.” Part yurt, part geodesic dome, and constructed entirely of raw Douglas fir and western red cedar, the final product certainly lives up to that description. 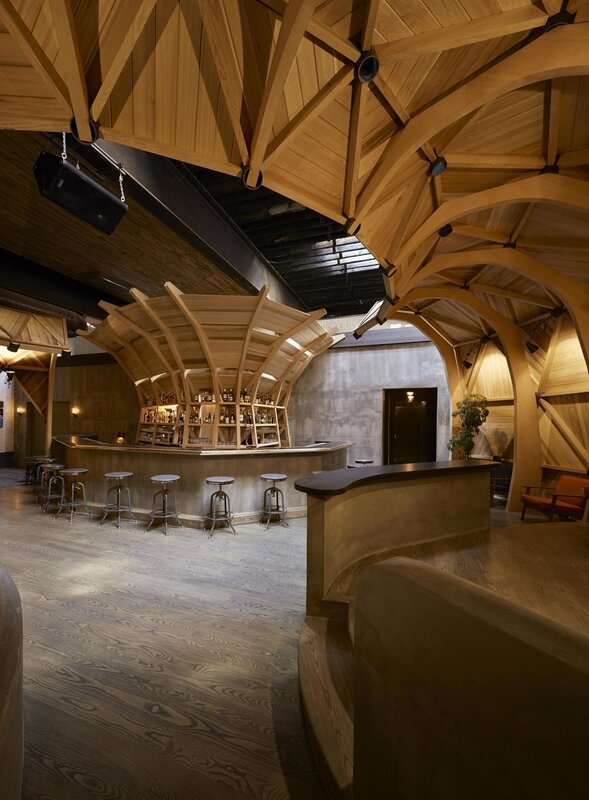 It lends itself to a variety of different uses —from daytime coffee-shop hangout to bar and event space — with a geo-shell canopy that spatially defines a central area while creating several auxiliary semi-enclosed spaces within the room. These nooks function as intimate seating areas and are differentiated by changes in elevation: One is slightly raised while another is recessed into the floor, referencing the “conversation pits” of the George Nelson era. The campus of Bard College in upstate New York boasts several architectural gems, including a Frank Gehry Performing Arts Building and Library designed by Robert Venturi, but the newest building on campus has something that sets it apart: It was built in a single afternoon. 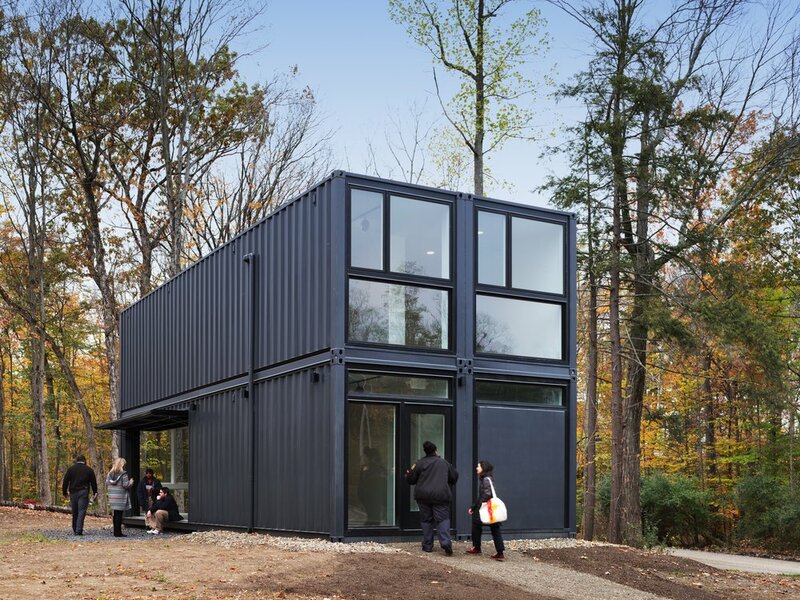 Designed by Maziar Behrooz of East Hampton and made from four recycled shipping containers, the Department of Experimental Humanities Media Lab was installed in just a few hours, and fully operational after only a few weeks. Designed for multidisciplinary student use, the bright modern building features a large pivoting garage door that opens out onto a quad, quickly transforming the main room (with a 17-foot ceiling) into a stage set for theatrical performances and concerts. If you look closely, the high rise at 565 Fifth Avenue is classic Norman Jaffe. If the bold, geometric exterior doesn't tip you off, the lobby — which mimics the proportions of a Greek temple, with the information desk in the place of an altar — will. This isn’t a typical New York office building. Few know that Jaffe, an architect based in Bridgehampton and best known for residences on the East End, left his mark on the Manhattan skyline as well. And it was a big mark: This 325,000-square-foot building, commissioned by the development company Kipps Stawaski in 1990, features pristine stainless steel framing, ornamental marble details, and a transparent glass exterior. From a distance, it seems to glitter. The project was completed in the summer of 1993, just months before Jaffe’s death.